Below is a list of some of the most commonly used terms in the property market, with a plain-English explanation for each. If you have any questions or would like to know more about how we can help you, please get in touch. A property auction is a public sale of a property to the highest bidder. A detailed inspection of the property by a chartered surveyor. The observations are then presented from a structural perspective. 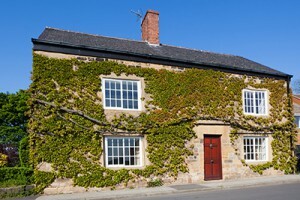 Traditionally older properties will require a survey for loan purposes. If you wish to change or extend the house, an initial survey would be sensible before you commit to buying the property. This is when a potential buyer or selling still have their property to buy or sell before they can complete a sale with you. The final stage of the home buying process when the property is legally transferred to you. The rights and duties of the buyer and seller. A legal agreement between the seller and buyer which binds both parties to complete the transaction of the sale/purchase. A qualified individual such as a solicitor or licensed conveyancer who manages the legal process of buying or selling a house. Rules and regulations restricting the property in its title deeds or lease/leasehold agreement. Such as parking caravans and boats on modern estates. Legal documents demonstrating ownership of the property. The percentage of the purchase price usually paid on exchange of contracts during the conveyancing. The first version of the contract which usually contains standard conditions, this is then edited accordingly if required. Signed contracts between each party involved are physically exchanged which legally commits the buyer and seller in the transaction. A term meaning that a seller accepts a higher offer from someone after already excepting one from someone else. When a buyer reduces his offer just before contracts are exchanged. The annual charge levied by the freeholder to the leaseholder of a property. A surveyor’s report to determinethe state of a property and value but not a detailed structural survey. A list of contents and furnishings of a leased property to determine any missing or broken items during the tenancy. A payment to register ownership of a property. A legal document outlining details for how the freehold or leasehold owner of a property lets the premises for a specific length of time, after which the ownership may revert to the freeholder or the superior leaseholder. This states that ownership of a property and/or buildings is by way of a lease agreement. A building or buildings of special architectural and or historic interest. These are usually ‘listed’, which prevents them from being demolished or altered without local government consent. A buyer’s solicitor makes an enquiry with the local council to determine future development issues or outstanding enforcement’s which might affect the property in the surrounding area. The cost of repairing and maintaining external or internal communal areas of a building. This is charged to the tenant, leaseholder or freeholder. A property split into multiple units arranged over more than one floor, each with its own private entrance. When the current value of a property is less than the outstanding mortgage amount. A building warranty on some new homes. Any defects found within a certain time can be resolved. The amount of money that a buyer offers for a property. A realistic value for a property if it was currently for sale. A rent usually paid annually and of very low value. Questions from a potential buyer/tenant about a property which the owner must answer prior to the agreement of any contract. Someone who is buying a property is known as the purchaser. A property which is joined to one other house. One estate agent instructed exclusively for securing a sale or let. A tax which is paid to the government by the buyer of a property. The amount depends on the price of the property and the stamp duty band it sits in. An open plan living area in a flat including a kitchen and bedroom in one room with a separate bathroom/shower. The agreement which is agreed in principle but not yet legally binding. A qualified expert who carries out a detailed report on the conditionof the house or property. A time scale with conditions given to the tenant. A legal agreement to protect the rights of a tenant and landlord. The person who rents a property as per an agreement. The conditions that a property is held, for instance its length of lease. A property connected by row of houses, usually in the same style. A document demonstrating the legal ownership of a property. A land registry document that transfers the legal ownership of the property from the seller to the buyer. When the seller has accepted an offer but before the contracts have been signed. A survey of a property to establish its value usually for mortgage purposes or by an estate agent to determine a price to market the property for. Refer a friend and receive £25!